I am a big believer in celebrating. I love to celebrate my birthday, and when I was younger, I would find any excuse to prolong that celebration. It would be a week-long event. Weekend to weekend, if possible, was even better. So with my friend’s big 40 on the horizon, I asked her what her plans were. How was she going to celebrate this milestone? She was contemplating going to a club. At first I was excited. I used to love going to clubs. I loved going out and dancing the night away. I spent the majority – if not all – of my twenties in a club each and every weekend. I worked, for the money to pay for the cover charge, to dance to my favourite music until my feet hurt! It was a blast and I wouldn’t change it for anything. 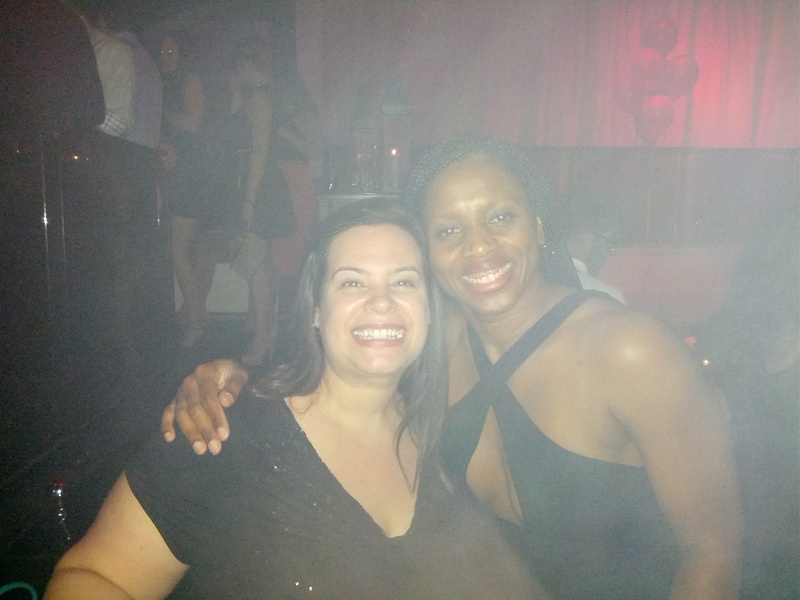 So when she confirmed, that yes, we were in fact going to a club that excitement turned to fear. Well, maybe not fear, but hesitation. It has been ten years since I went to a club! What would I wear? What shoes would I be able to stand in for the whole night? Would I be the Nonna at the club? You know that old person who doesn’t belong? Would I like the music? The crowd? The vibe? Regardless of how I was feeling, I was going. I wouldn’t have missed N’s birthday bash for anything. So I was on a mission to figuring it all out. And eventually I did, and the night arrived and off I went to meet up with the girls and then off to the club we went. And while I’m not going to lie and pretend that I felt that I didn’t quite fit in with this crowd, I found that there were glaring differences between my ‘good ‘ole days’, which we’ll call 90s clubbing days (90CD) and the 21st century clubbing (21CC) world. So I thought I’d point them out. 90CD: We went to the club early, as there was only one way in, and that was in the line. At some clubs there was VIP access, but it really only allowed you to bypass the line. 21CC: We got to the club at 11p.m.. I would like to please note that on a regular basis, this is my bedtime! 90CD: We went to club in jeans and a top. Yes, the top was figure flattering, (say like a bodysuit, which was in fashion at the time) or something low cut, but there is no doubt that we were in jeans. Wearing jeans also meant you had a place for your keys, lipstick and money. The only thing I would carry is my cigarettes (I used to smoke). 21CC: People dress up! There were ties, dresses (some that resembled baby-doll lingerie), stiletto heels, suits, leather, feathers and glitter. Enough said. Wearing a skirt, top and boots meant I also now had to carry a purse. A purse in the club! Because I didn’t have pockets for my stuff! I didn’t like this at all. 90CD: Most of the time the people at the club were between the ages of 19 and 25. If there was an old guy in the crowd, he was named “your uncle” and stood out like a sore thumb! 21CC: Apparently it doesn’t matter how old you were. There were plenty of “uncles”, “aunts”, “Nonnas” and “dads”. There were young people, old people and everyone in between. It was quite the crazy crowd. But I liked this part, as nobody stood out, everyone found their place and it was kind of cool. A friend of mine mentioned that this is phase 2. That the reason there are more older people at the club is because there are so many people who are older and single (for various reasons) and they need a place to go. So, welcome to phase 2! 90CD: VIP consisted of some blocked off/elevated/barricaded area where you had your own bar and could watch the crowd. I hated being in VIP. I’d rather be in the middle of the dance floor, with the masses. I didn’t go to the club to sit in an area off to myself. What’s the point of that? 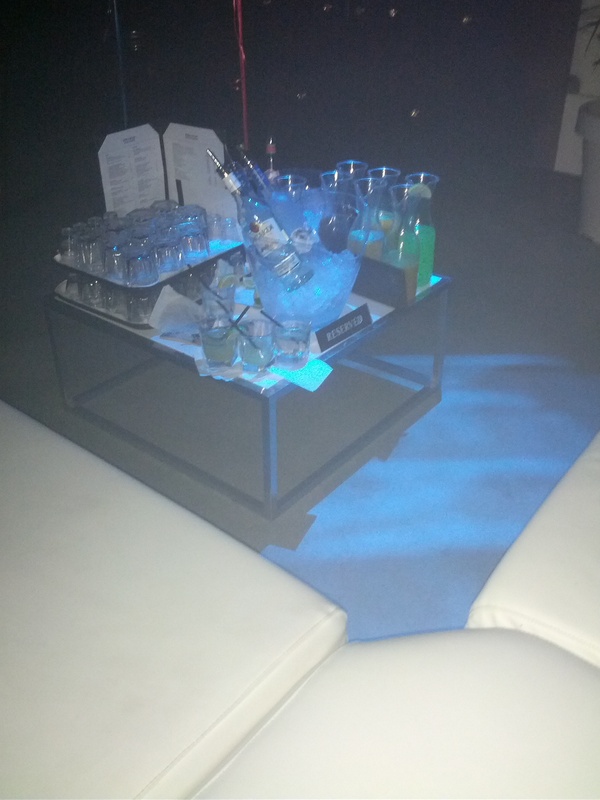 21CC: There is a thing called “Bottle Service”, which is VIP transformed. Now, there are couches and tables and your own server to pour you drinks that remain at your table all for the low-low price of $600! Yes, you read that right. My friends were informed that Bottle Service that night was minimum $600. I don’t get it. You are paying to have a place to sit. A very expensive place to sit! And a probable 8000% mark-up on a bottle of Grey Goose. Do I get to take it home with me if I don’t finish it for price?! Doubtful. 90CD: Back in the day, clubs charged a $10 entry fee and drinks were $2. Yes, it was served in a plastic cup, but it was $2. I could easily keep my night out to well within the $20 range. Easy on the wallet of a college student! 21CC: While I only paid $10 for my entry, my glass of Coca-Cola cost me $3 or $4. I’m not sure which, as the bartender told me $3, then came back with my change of $5.50 from a $10 bill and told me it was $4. I left her the 50 cents and that was the end of my drinks. I’m not cheap, but I was driving and didn’t feel like dishing out more for a non-alcoholic beverage. I did buy a couple of birthday drinks for N, so I was happy to spend my money for that. For the record, a small bottle of water cost N’s sister $5.50, so I guess I got a deal with my Coke! 90CD: Aside from the $2 drinks, there were Go-Go dancers and Shot girls. Yes, girls that circled the club with a belt full of colourful shots, also available for $2 each. 21CC: There were no Shot Girls at this club, but there was a Beauty Bar. An elevated area, above all those couches where you could go up and get your hair done and your make-up applied, while the whole club watched! WHAT?! Our group thought this was ludicrous. Why would this be an offering at the club? Who would use this service? While we didn’t see any patrons in the chairs, the “salon” staff enjoyed dancing until the curtains closed. 90CD: We had our choice of bars and clubs back then. If we went the club route, most were massive industrial spaces with huge dance floors and a lot of square feet. They were VERY different from bars, the crowd, the music, the atmosphere. As I got older, I preferred the bar scene. 21CC: While this club was a decent size, the lounge-like feel was overtaken with the Bottle Service areas and the dance floor really wasn’t that big, because the room was taken up by those couches! 90CD: I love 90s dance music. I loved it then and still love it to this day. There is nothing better, as far as I’m concerned. However, I love all music including the Techno music that was thrown in once in a while. It wasn’t often, because back then, the club you chose played the music you liked. It really didn’t mix it up too much. 21CC: Let me start with the first change and that is Techno music is now called EDM (Electronic Dance Music). I’m told the popular EDM tracks have lyrics, half of it doesn’t. This is the type of music they play at the club now. Not a lot of recognizable tunes for this mom of two. I still danced, but a whole night of that music may get to me after a while. I like words…so this wasn’t my thing. 90CD: Cigarettes and cell phones. In my late teens and early twenties, I smoked. And smoking was allowed in the clubs back then. So everyone smoked and the club always had this haze, which only the laser lights could cut through. I know, not healthy, but that’s how it was. Also, if you needed to call anyone, which was rare, because everyone you would have called was actually with you, you used a quarter and put it in the payphone! 21CC: I have to admit that I found it strange that there was no smoke. They used dry ice to try to replicate that haze, but it seemed weird to us. And it seemed a little too early to break out the dry ice at 11:00 p.m. There was a different glow under the strobe lights, and that was from the LED screens and flashes from cell phones. Everyone was on them. I watched a whole group of people pass by; drink in one hand, cell phone in the other, nobody speaking as they were all doing their own thing. Aside from being able to write emails at the club, I do see the plus side of being able to take pictures, which we did as well. It was just so weird to see, since this isn’t how I remember things. Our attempts at selfies didn’t work. Me & N at the club! 90CD: The smoke was enough to create a mess, but back in the 90s people just used to spill and throw stuff on the floor. The club was dirty. I remember that my feet stuck to the floor, my clothes smelled and the soles of my shoes were always disgusting. 21CC: The biggest thing I noticed about this club was how clean it was. There was actually clean-up staff that walked around sweeping invisible garbage, because the floors were clean, the air was clean and the white couches, which are what they use for this Bottle Service, are all clean. So there are the biggest differences my friends and I found. Although some are bizarre to me, I’m not judging. The whole crowd looked like they were having fun, regardless if they were on a couch, beside a bar or on the dance floor. It certainly isn’t something I see myself doing regularly, but if I got invited out to a club again, I’d go. It was fun to hang out and celebrate N’s birthday and dance like we used to! Even if it is every ten years or so! Love it! My feet hurt for a few days but well worth the pain. I had so much fun!!! Me too, Pauline! My feet were killing me! You should go! 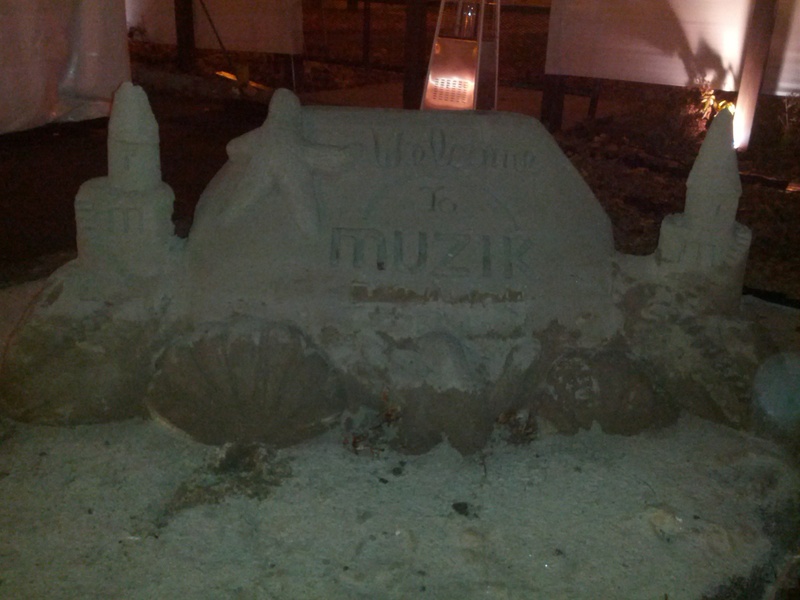 I had fun…but it is different! Wear good shoes….my feet were killing me.